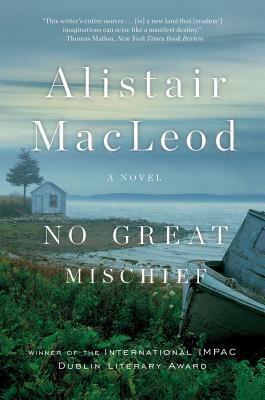 I wonder if I would have liked No Great Mischief more if I’d never moved to Nova Scotia. Then its invocation of the landscape and culture of Cape Breton might have appealed to me as much as any other intensely local fiction does: I might have appreciated unreservedly its artfully crafted sentences offering a vicarious journey into an unfamiliar place, its tender but unsentimental portrait of the people who live there and love it, its artful and often touching intertwining of stories about the past and the present. No Great Mischief does offer these things, and I did understand, as I read it, why it is so admired. It’s not that there aren’t good things about life in Nova Scotia. Over time (and I’ve been here 23 years now, so nearly half my life) I’ve learned to appreciate and even cherish many aspects of it. We’ve also met many lovely people–though it’s interesting how many of the ones we are friendliest with have also come from away. But No Great Mischief is basically a paean (if a somewhat melancholy one) to Cape Breton and its way of life. That its narrator, one of several Alexander MacDonalds in the novel, has moved on (he is a successful orthodontist in Ontario) seems to him something faintly sorrowful, even a little bit shameful, as if his profession is somehow less authentic than fishing or mining, or his modern urban life, with its comforts and conveniences, is somehow a lesser life than his parents’ or grandparents’ back on the island. These attitudes are not unique to the Maritimes–somehow, city-dwellers and urban professionals never seem to count as “real” citizens the way farmers do–but they are certainly conspicuous here. 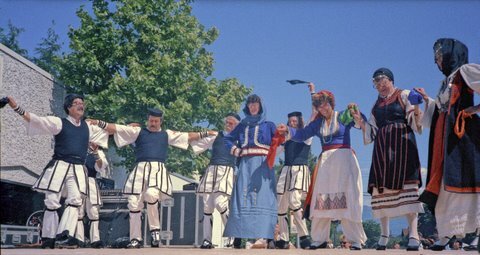 Besides folk dancing, there were other ways in which my childhood attention was drawn outwards: classical music, which brought us into contact with a lot of different musicians, again mostly from elsewhere; reading, which for me, for whatever reason, rarely meant reading Canadian literature; travel, which for us was limited and not glamorous, as we mostly went camping, but was as likely to take us south into Washington State and Oregon as north up the B.C. coast. The U.S. border crossing was familiar and easy in those days: we used to drive all the way to Bellingham, WA just to go to Baskin Robbins, before it opened in Canada. My mother was American (she hails from New Hampshire – live free or die!) and my sister and I were both born in the U.S., so although I knew it was a different country, I didn’t think that difference mattered very much. I still find eastern Canada more foreign than I ever did Seattle! Winter, hockey, Tim Hortons: out here these are assumed to define the Canadian experience, but I knew nothing of them. Vancouver itself I experienced as a place where people from all over came and went–again, I don’t want to idealize the city or gloss over its faults and complexities, which are naturally much more apparent to me now than they were then, but for better and for worse I was raised when multiculturalism was the buzzword and that’s what I thought I saw and what I thought was good. (For some reflections on ways the feel-good message of multiculturalism obscured lessons I should have learned about the history of my own country, see this post.) 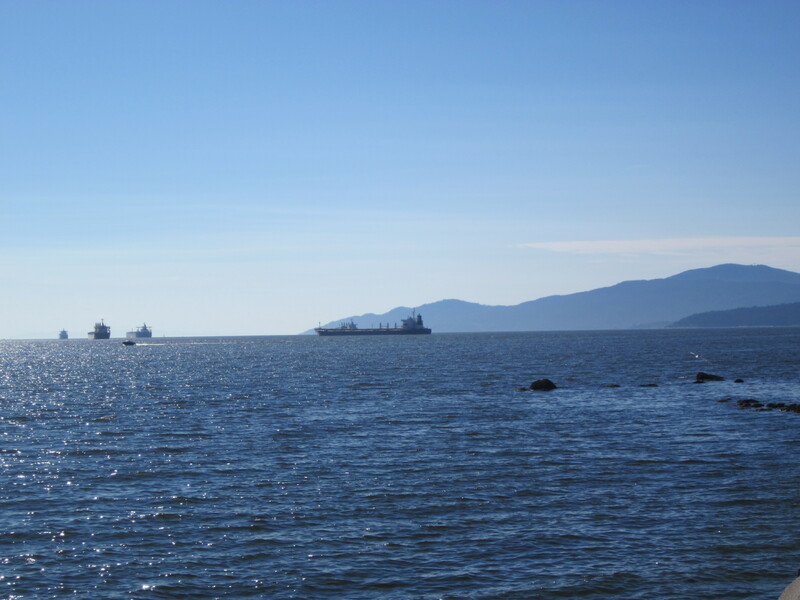 The cumulative effect of all of these factors is that while I love and miss Vancouver, I feel tied to it individually, not because I developed a strong sense of regional identity. All of this is by way of saying, not that my own background is the “right” way, but that because of it the close-knit but wide-ranging family depicted in No Great Mischief and the constant pull they all feel back towards a specific history and a particular place both seemed somewhat claustrophobic to me, and that my personal experience has made me skeptical of the hold a certain idea(l) of the Maritimes still has. To be fair, MacLeod’s novel is not naively nostalgic and he doesn’t unreservedly romanticize the world or the people he depicts. The novel is structured, after all, around the consequences of an act of tragic violence that is itself the result of a clash between two strongly defined and irreconcilable group identities. There and in the historical allusions lurk powerful warnings against holding grudges or deciding people’s worth because of who you think they are, because of an inability to move on, or past. Still, those larger implications seemed to me not nearly as important to the novel’s affect and ethos as the idea that there is only ever one place where you really belong and it isn’t for everybody. I realize that I’ve given hardly any actual details about and no specific quotations from MacLeod’s novel. It turns out that’s not what I felt like writing about! If you’re interested in a proper review of No Great Mischief, here’s the New York Times review from 2000, which seems a judicious one to me, and here’s a pretty warm one from Quill and Quire. As a “come from away” resident of Cape Breton, I totally relate to everything you are saying, and on some level, I feel better knowing I’m not the only one who has had these thoughts and experiences, so thanks for this. I find your comment reassuring for the same reason! I think I would find it a lot less annoying if it didn’t seem so self-satisfied. I nearly drove off the road once listening to a call-in show about why Nova Scotia is a great place to live. Yes, people here can be hospitable and there’s beautiful scenery and yay fiddle music, but other places are also lovely when the weather is nice and Maritimers do not have a monopoly on hospitality. I am quite familiar with Canada’s “East Coast” particularly Cape Breton. It is a harsh and beautiful place in every way. The sway of ‘the church’ (read Roman Catholic faith) is pervasive, controlling people’s thinking, management of emotions and often targeting women and attempting to keep them ‘dumb and down’ There is a strange culture of death also in CB, wherein women again are targeted and are encouraged to bear the brunt of grieving and are encouraged to wallow in their grief for a very long time. The passive RC fatalism “It was God’s way” or “It was his/her time.” or “He/she is in a better place” keep grievers awash in their self-sympathy , It is almost an industry, one of the only ones. In parts of Canada, CB is viewed as a ‘third world country’ Chronic unemployment, the passive endlessly conditional press and the air of ‘positive desperation’ pervade. Nice place to visit, but a thinking, independent minded individual would scorn to live there. Thus, their status in the eyes of the rest of the country. 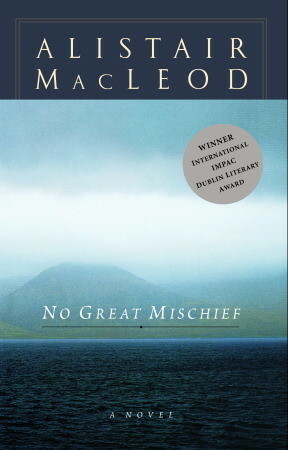 Oh: re the novel, “No Great Mischief” It took the author nearly 30 years to write it and remains his only long work. He is, no doubt a poet. For me, it was a novel of friendship, between brothers and a novel of learning about siblings as each and every one changed. Alex’s compassion and kindness for his severely alcoholic brother who loved so deeply, taught me much. The novel in many ways, could have been set anywhere with those themes. The CB setting makes both the themes and the setting complex metaphors for family, acceptance and simple human kindness. Undeniably beautiful…..look up his short stories….same intensity and beauty. Thanks for your comments, Mary. Others have also recommended his short fiction. I agree that the story of the siblings is beautifully drawn: as you say, Alexander’s patient compassion is very moving– though the way he supplied him with booze also made me a bit uncomfortable. I second all your observations and feelings, both about this book and about NS–and I was born and grew up there! For me, escape from that small-minded clannishness was absolutely necessary; I never felt comfortable in NS and am always baffled that various family members still imagine I’ll “move back home” one of these days. And that “come-from-away” attitude can be frighteningly hyper-localized: about 20 years ago, 2 friends and I (all born in NS and with relatives in CB) drove up to northern Cape Breton. We went to the local Tim Hortons and the moment we walked in the door, all conversation stopped and everyone turned to stare at us; not one word was said by anyone there while we were present; even the cashier refused to talk–she just stared at us until we ordered, held her hand out for the money, and stared at us until we left. We practically ran back to the car and locked the damn doors once we were in it. It still creeps me out to think of it. Ha! I’ve never met with quite such an overt display (well, except for our neighbors’ clear suspicion), but school events sometimes felt like a much more polite version of that Tim Hortons.